Your house is probably one of the biggest assets you own. Renovating and maintaining it is one of the best ways to increase its market value. Even though a renovation might be costly, if it is done smartly and green it can result into significant savings since your electricity and water bill can be reduced. At the same time allergens and mold incidence can decrease or even disappear for quite some time. 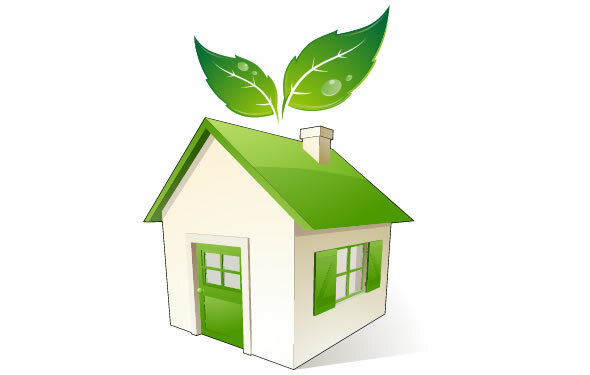 Green remodelling has now become quite the trend for many homeowners since the cost required for such a project can be reduced significantly as it takes into account decreases in energy consumption and increases the efficiency in which resources are used while it improves indoor air quality. First thing that you need to do though before deciding for a remodelling of your house is to understand which kind of renovations will give you the much desired added value and which ones are just nice to have but are more of a luxury with zero added value. Nice bathtubs, swimming pools, expensive kitchen equipment even though you might enjoy them unfortunately do not have a great positive impact on your resale value. So what does have a positive impact on your resale value? Is green remodelling really something that you should consider? Following is a list of green remodelling suggestions that can get you on the right path to increase your resale value and reducing your carbon print. Many older homes have even today single pane windows that can be a major source of energy waste. Single pane windows are equally inefficient both during the summer and during the winter as they lose almost a third of air conditioning and heat respectively. Replacing existing single pane windows with double glaze windows or even triple glaze windows that are energy star rated can considerably reduce heating and air-conditioning loses and depending on the amount you spent to have a positive return in a few years. It is also recommended to look up the current tax credits for installing them and check if you are eligible for them so that you can factor them into your decision making process. Saving on the water bill is also a good investment since it increases savings, your home resale value and at the same time does not compromise your lifestyle. Low flow shower heads can save you up to 70% of the water quantity that you use without having to settle for less since modern ones are now as powerful as the conventional ones. Dual flush toilets are also another good idea as they save a lot of water and take a load off from the sewing system. Bathroom is also mold’s favourite place which can be annoying and have health consequences. Therefore a good investment would be to install a humidistat. A humidistat turns on the bathroom fan automatically when it senses that moisture levels, which are mold’s best friend, have reached a certain level. As already mentioned windows are a source for loss of heat and air conditioning. They can be a good step but if you really want to take it to the next level then properly insulating your home is a must. So far we have talked about ways to reduce your energy and resources consumption the other part of the equation is producing your own green energy which can be done with the installation of solar panels. Solar panels are a great way to increase your resale value and depending on your budget and the area that you have available to install them on your roof or your yard you can significantly reduce your electricity bill. Before deciding to install solar panels you should make sure that you find a good solar panel installation company. This way you will be able to get an honest assessment of your house production potential and how much it will actually cost to have them.